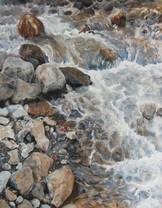 Thirty four superb artworks are currently on display in the Caldera Art Gallery (until Dec. 9th). 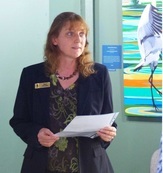 Tweed Shire mayor Katie Milne recently opened the exhibition with Dr Mark Kingston from the Natural Resource Management section echoing her words of the importance of maintaining the integrity of the region's natural environment. CA coordinator Andy Reimanis thanked all the participating artists and supporters including Destination Tweed, Tweed Shire Council and Southern Cross Credit Union. All CA2016 entries may be viewed in the Caldera Art website on-line exhibition. The next exhibition in the CAG will commence December 14th (refer program link). 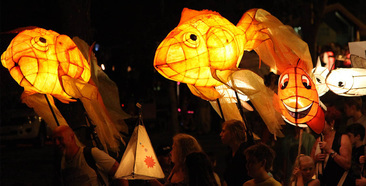 The historic village of Tumbulgum will be a hub of celebrations when it hosts the 2016 Tweed River Festival main family day this Sat.12th Nov.
A day of entertainment, music, displays and food (beginning at 3pm) will culminate in the traditional giant lantern parade and a laser light show, as this year's River Festival incorporates Tumbulgum's 150 Year celebrations (including a historic photographs exhibition at the Tumbulgum Hall and the unveiling of a monument. "The monument site is significant for our village because it marks Tumbulgum's original site, then known as Tweed Junction," Tumbulgum Community Association President, Jenny Kidd said. "But it is also important for the whole area because it was Tweed Valley's first commercial settlement, as pioneers started selecting the first farming allotments along the Tweed and Rous rivers." Visit www.tweed.nsw.gov.au/RiverFestival or www.tumbulgum.wordpress.com for further details about the Tweed River Festival and Tumbulgum 150 Years celebrations. 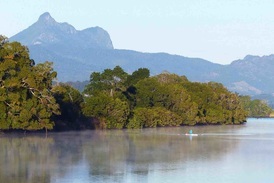 Mount Warning Tours is offering a range of 'adventures in nature' by land and waterways. ​Almost 400 people have participated in a community survey to share how they use the Tweed River and how they would like to see it managed, but the survey’s organisers want to hear from even more residents.The survey deadline is now 19 November. Community members are invited to provide their feedback to help guide the plan’s priorities.... yoursaytweed.com.au/tweed-river-estuary Printed copies are available at Council’s Murwillumbah and Tweed offices and the libraries. This newly published 400 page book (with over 1,000 images) is an easy-to-read, in depth natural history of the Tweed Coast’s natural resources and cultural heritage. Contents also address the natural forces and human activities that have shaped, and continue to shape, its dynamic ecology. This informative and engaging book draws from primary authors who are experts in their respective fields. Their authoritative text, intended for the layperson and student, is further brought to life through the impressive works of talented photographers and artists. It is a credit to editor Michael DeGood who patiently worked on it for many years. 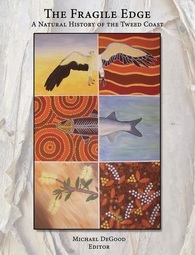 ​The result is a ‘must read’ for every resident and visitor who seeks a deeper appreciation of the Tweed Coast’s globally significant biodiversity, unique cultural heritage, and the challenges faced by this precious stretch of coastline. 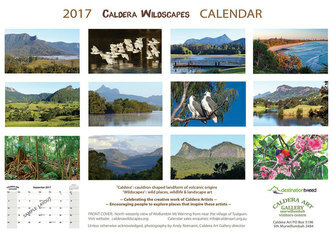 Copies are for sale in the Murwillumbah Visitors Centre or on-line. 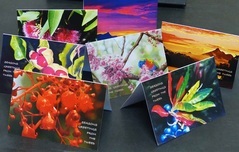 ​This community banking facility has been supportive of Caldera Art for a number of years. 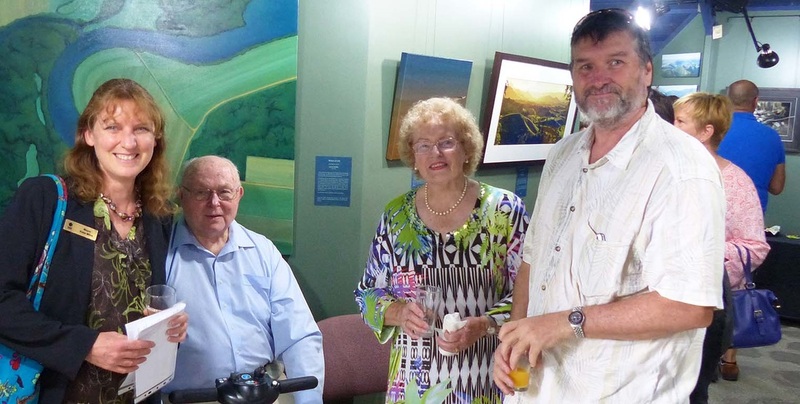 Their historic head office building (Wharf St, Murwillumbah) is now home to another artwork donated by CA. 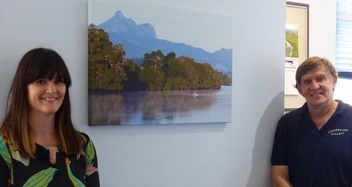 A canvas print of a photograph depicting the Tweed River with Wollumbin Mt Warning in the background now complements the print of an aerial perspective of the summit painted by Andy Reimanis. 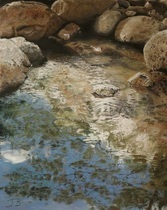 As a Tyalgum Creek resident, Jan has focused her passion about the upper catchment of the Tweed Valley into several significant artworks, most of which have been exhibited in Caldera Art events over the years. 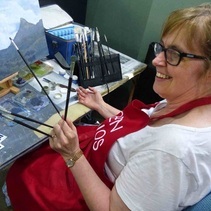 Having been involved with the Saturday morning Caldera Art Group since its inception in 2009, she is the longest 'serving' member and her patient approach to creating artworks is an inspiration to the other artists. 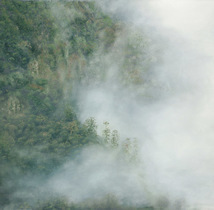 ​Cloud forests are like rain forests in that they generally receive high levels of precipitation but the difference is that significant levels of moisture are derived from the clouds that filter through the trees, not actual rainfall. 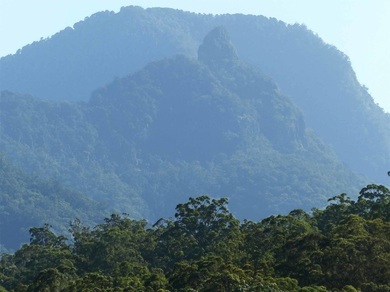 After extensive monitoring by Griffith University and research by UQ's Lui Weber et al, sections of the Gondwana Rainforests of Australia's Green Cauldron can now join places like Central America and SE Asia as having significant high altitude cloud forests. Climate change appears to have increased the average number of days that Springbrook and Lamington plateau's in particular are in cloud. A process called lateral cloud filtration accounts for more than half of the annual precipitation. Moisture from the clouds condenses as it touches the tree tops which then forms tiny droplets. Epiphytes growing on the old growth trunks of trees such as the Antarctic Beech and other rainforest species are the first to catch the water. Walk under these trees on a cloudy, breezy day and you would think you were in a rain shower. Walk out into the parking lot and you will notice that it is not rain at all. The Murwillumbah Historical Society is hosting another speaker night at the Tweed Regional Museum on Wednesday 23rd Nov (5.00pm). 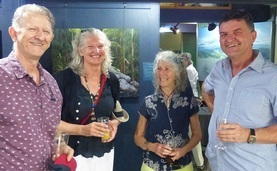 The presenter will be Lui Weber, Botanist/Ecologist, BSc University of Qld, a recognised expert in rainforest biogeography having explored the Tweed's forests and mountains for rare plants and animals. An acclaimed nature photographer, his talk will be accompanied with unique video footage captured from camera equipped drones. ​This month's mystery Wildscape (below): What are the names of the two distant peaks and from which public reserve was the photo taken? 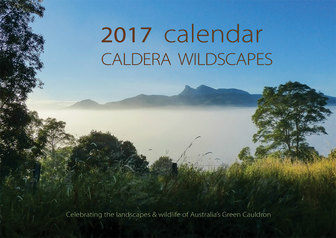 Answers to info@calderaart.org.au A prize is offered (a signed copy of the Tweed Book by editor Andy Reimanis. ​Answers in the Dec. CW e-news. ​Hint: Photo was taken with a long zoom lens and is in the same general location as last month's mystery Wildscape....see below. Photo taken from Commissioners Creek Rd (off Doon Doon Ck Rd) looking south to Mt Doughboy and beyond to the Nightcap plateau. Tweed Landcare Inc. (TLI) supports people caring for our unique environment and natural resources through practical community projects. Committed volunteers and landowners in the local Landcare network are working to protect and rehabilitate our precious landscape. The region has many threatened fauna species, and Australia's highest concentration of threatened plant species. A monthly newsletter makes for interesting reading and can be accessed on their website. 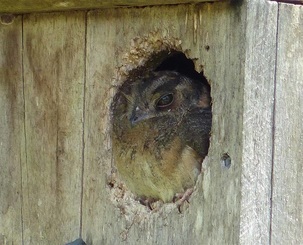 ​The answer to last month's quiz: This Owlet Nightjar (below) had taken up residence in a nestbox where it roosted during the day, occasionally popping up to 'have a sticky beak' at what was going on below. It's sometimes mistaken for a Sugar Glider in low light conditions. 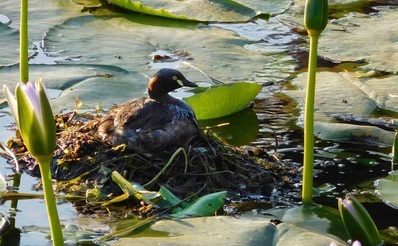 This month's image (below right) was sent in by Barry Henderson of Banora Point who has had these splendid birds nesting in an artificial wetland at the back of his place.